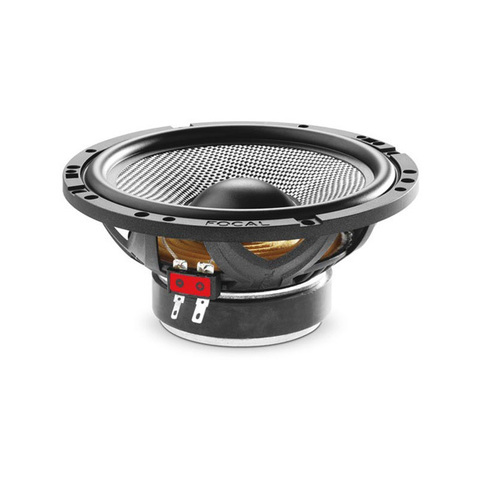 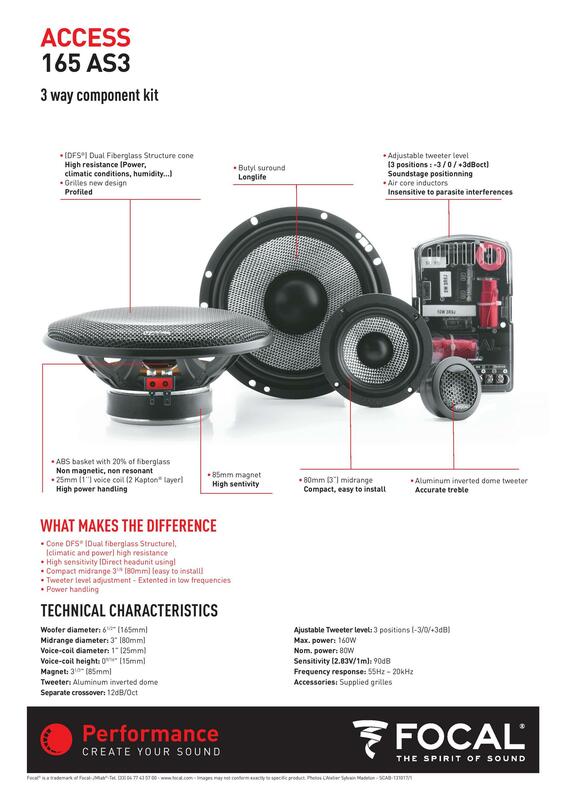 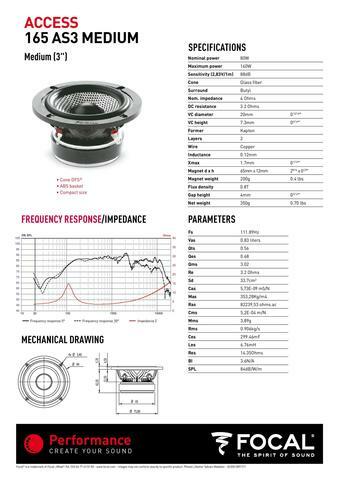 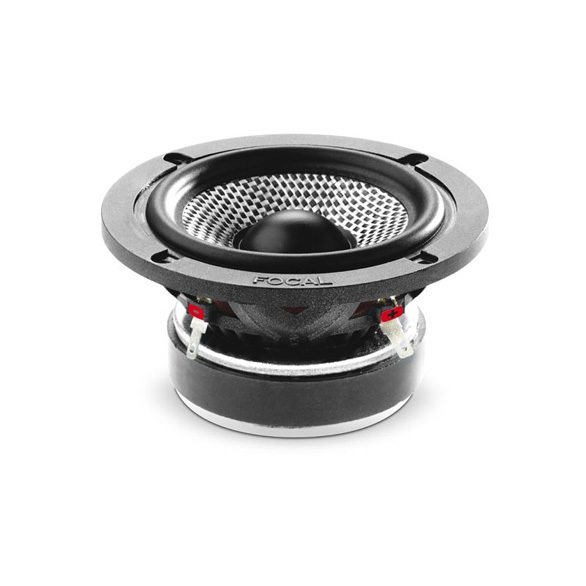 With a 61/2'' (165mm) woofer and an 80mm midrange, you can configure an installation to suit your desires and constraints. As with the other models in the range, this 3-way kit is a product of the Focal tradition. 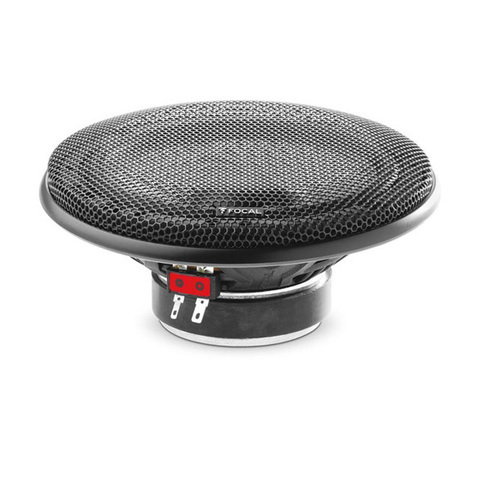 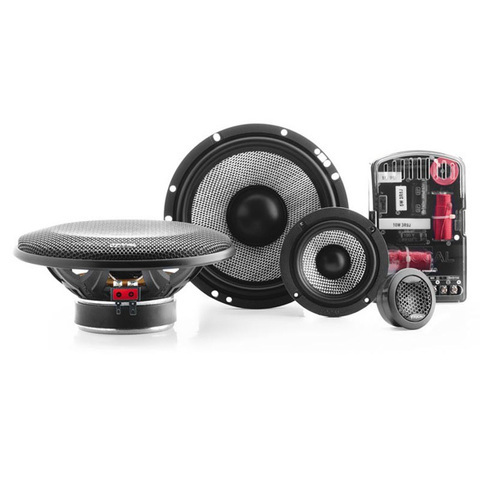 Very solidly built, this quality kit brings you high power handling, even after prolonged listening at high volume.